Sharing unfenced borders and wildlife with South Africa's flagship safari destination, the Kruger National Park, Sabi Sand Region is hardly in need of an introduction. Lauded to be the home of the private safari, the reserve has two water sources running through it and is home to the Big 5, over 500 bird species, and plenty more — there's no doubt that Sabi Sand needs to feature on any safari checklist. The multitude of lodges in the reserve cater to a variety of travellers; whether you're friends, family, honeymooners, or photographers in search of five-star luxury or intimate lodges— Sabi Sand Reserve has you covered! Home to some of the country's most iconic and luxurious lodges, the only disappointment you'll experience is going home. In Sabi Sand vehicle numbers are limited, off-roading is allowed, and night drives are the highlight of any stay. 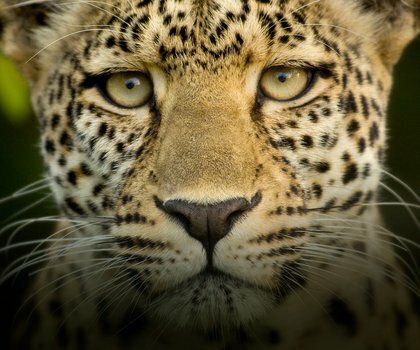 Here, different rules govern the wild, bringing guests right up close to some of South Africa's most wondrous wildlife. Below are the properties located in the magnificent Sabi Sand Private Game Reserve — Get free, no-obligation advice to find out more about which one fits in with your safari dream and budget. Londolozi Tree Camp is aptly surrounded by huge, shady leadwood trees. This small and exclusive safari destination, with only six suites, offers the height of sophistication and romance, surrounded by spectacular African wilderness. Known for its leopards, the camp invites guests to witness these majestic creatures and immerse themselves in old-world safari luxury. Londolozi Varty Camp is enriched by a down-to-earth nature and generous spirit. A throwback to the humble beginnings of its legacy, Varty Camp sets the benchmark for authentic family safaris. Londolozi Pioneer Camp sets itself apart by exuding a deep African spirit while maintaining a style that speaks to refinement. The appeal of this Relais & Châteaux property is that everything about it is deeply personal – without detracting from its natural elegance. Inyati Game Lodge is a homely lodge located on a 10,000ha private concession of the Sabi Sand Game Reserve. Inyati benefits from having the seasonal Sand River running right through the property, and it consequently attracts all species of wildlife ensuring excellent game and bird-viewing opportunities. Kirkman's Kamp is a 1920s-style restored homestead set on a private concession in the world-famous Sabi Sand Game Reserve. 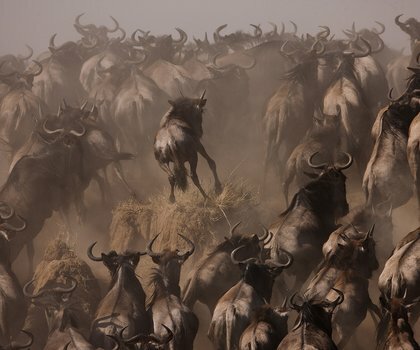 Let the exceptional guides and trackers lead you on a memorable safari. Whether it’s an exhilarating game drive or an informative bush walk, you are sure to be impressed. The four-star Idube Game Lodge,found on a 10,000ha private concession in the Sabi Sand Game Reserve, allows for excellent game-viewing worth every penny. Idube is an environmentally conscious lodge and is genuinely dedicated to giving guests a memorable and informative safari experience. Dulini Lodge takes pride of place on a 10,000ha concession in the world-renowned, game-rich Sabi Sand Game Reserve. A small and intimate lodge, it is a favourite among travellers for its classic luxury and style, fantastic service, cuisine and incredible game-viewing. Lion Sands River Lodge is a family-owned lodge tucked away in a Big 5 private reserve within the Sabi Sand Game Reserve, a predator-rich area adjacent to the Kruger National Park. 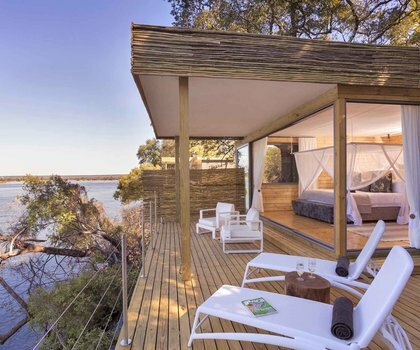 Enjoy warm African hospitality along the banks of the Sabie River, the thrill of twice-daily game drives, or a night under the stars in a luxury tree house.